Close to Home: A Family Business Planning Series by The Coughlin Group What is the Difference Between Benefits and Perks? Each year an awards banquet is held to honor and observe their achievements. This year’s The HR Awards was held at Landerhaven on November 10th. The event featured a VIP meet and greet with all of the winners, finalists, and sponsors in concurrence of a public networking hour, followed by a luncheon and awards program. 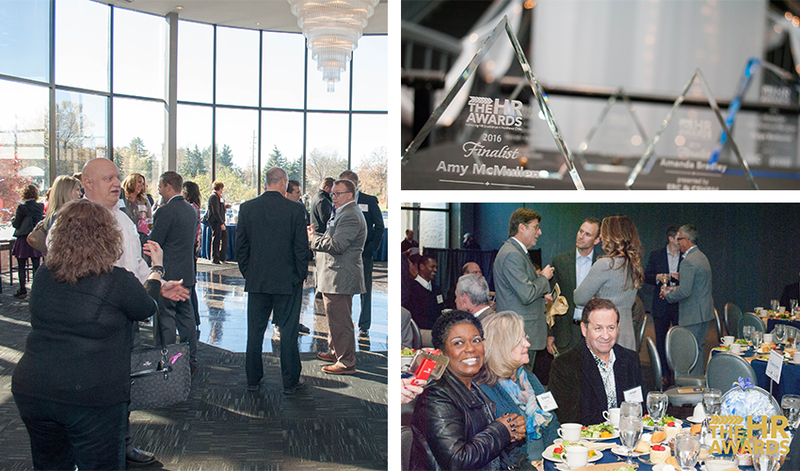 The HR Awards has around 200 attendees every year to honor their friends, family, and colleagues. The event was led by Pat Perry, President of ERC, and Steve Ligus, President of Cleveland SHRM. The program began by highlighting all of this year’s finalists. Each winner was celebrated individually with a call to the stage to share some of their inspiring success stories and accomplishments. The stories and speeches given by the 2016 winners were nothing short of moving. The recipients of this year’s The HR Awards expressed how truly meaningful their work is and proved how much hard work pays off. Growing up, I was always at the center of organizing and planning events; I loved filling out paperwork and keeping lists for my parents. My report cards all spoke of my people skills as I was the “social butterfly” of every class. Immaturely, and as many still do, I though that’s what HR is all about. I got started in HR because I convinced the HR Manager at my prior company to let me try my hand as her Assistant. She did and I fell in love with the field. It was so much more than just planning parties and keeping track of employees. I learned about insurance, compensation, benefits, the law, analytics, and data—these topics still keep me excited to come to work every day. What is the most important lesson you’ve gained from working in HR? It’s important to think about each individual and the impact that you could potentially have on their life. The way you interact with each person shapes their view of your company. You truly are a part of the brand of your employer. In my role, I get to develop, coach, and provide consult to at every level within the organization. To watch a co-worker learn and grow in their role, that is success. Tell us a story or a mantra that has inspired you to stay in HR over the years. I have not always stayed in HR. As I was approaching my 10 year anniversary with MedQuist, I looked back over my career and came to the realization that I was not where I wanted to be and that where I wanted to be was in HR. I knew it would be a challenge to get back into HR after being away for that long, but I have always been one for a challenge. Keep an open mind! At times, we seek information that confirms our deeply held beliefs. We need to continue to listen as we may believe something to be true when in fact it may turn out differently than we thought! It is important to keep an open mind as there are many options, many possibilities, many paths, many outcomes. Ask questions and challenge the status quo. What advice would you give to your peers in HR? Never forget that what you do impacts lives, and lives way beyond employees in many instances: their families, your firm’s customers, the community in which you do business. The “human” in HR is a pretty big audience. “A job worth doing, is worth doing right” – We had a poster with this saying in our home when my children were young. Although their performance on chores—feeding the dog can get messy—it’s often served as a reminder for me to slow down and focus on doing the best I can with each and every task, every project, and every relationship. Understanding that there is no “cookie-cutter” approach to any problem when it involves people. There are so many nuances, personalities, motives, etc., that they must all be taken into careful consideration. What do you hope to accomplish in a HR career? I hope to become an HR manager in which I am able to implement organizational change, enhance value for both my employer and employees, and take on challenging projects with a team.